Start of the Paris half marathon 1999 – On the left is the Charlety stadium. The finish is inside, on the track! In 1999, the start and finish are still at Charlety Stadium. The route is similar to the one of 1998, i. e. a route that passes through the 13th arrondissement of Paris and the Bois de Vincennes. The arrival of the first timing chip! This chip is attached to the shoe by a lacing system. The chips are collected on arrival by an “army” of volunteers (thank you!). Unfortunately, sometimes the organisation did not calculate enough space after arrival to allow this collection! 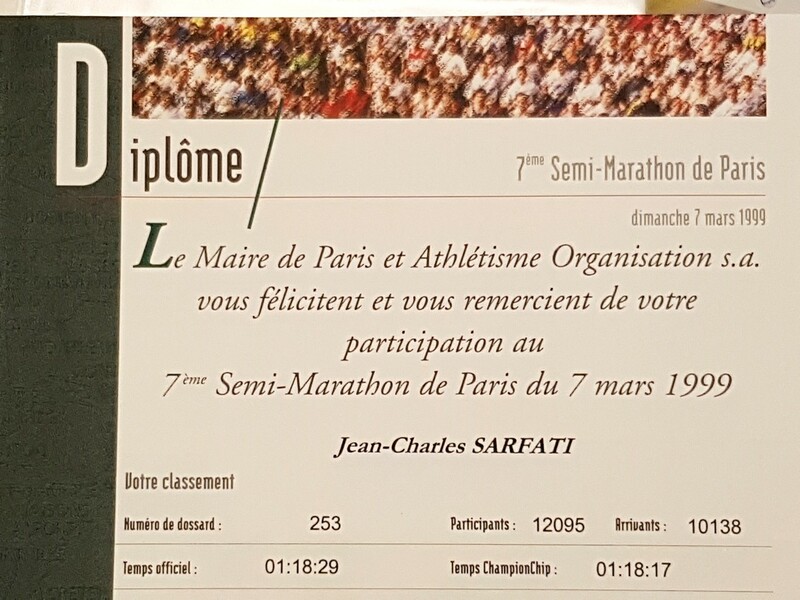 Which, during a half-marathon in Paris, caused the participants who run around 2 hours to be blocked, forced to queue before the finish line! Since then, and this has become widespread since the mid-2010, the chip is integrated into the bib in the form of a small ribbon. No need to return the chip on arrival or attach the chip to the shoe (with the risk of losing it if the lacing is done a little quickly). Even if Minitel is still in use, the results will gradually be available on the Web (it was called Web rather than Internet at the time). 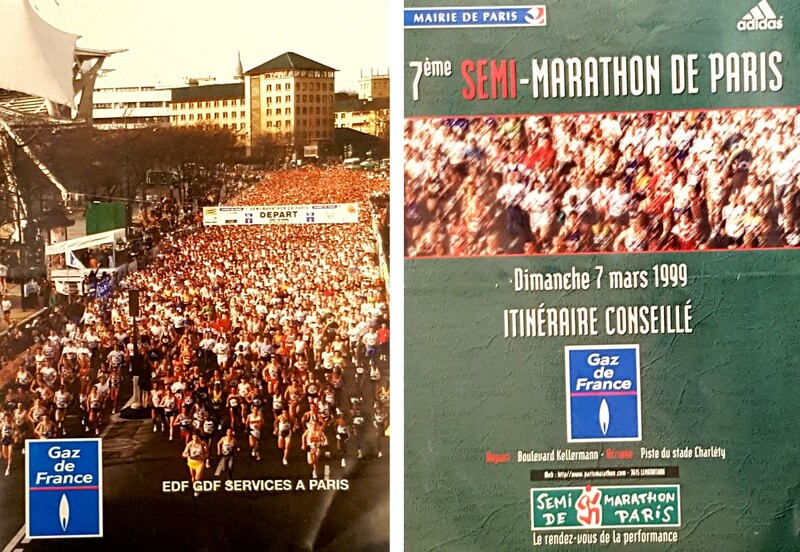 The results of this half marathon in 1999 include some well-known names at the time (Dallenbach, Renders, our Michel Orchilles national who did an excellent time in VH2, 1h14! ).